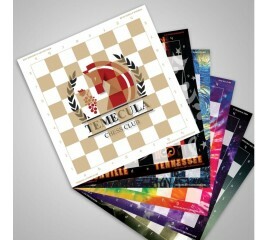 Our Custom Printed Full Color Vinyl Tournament Chess Boards are ideal for chess players of all skill levels. They roll up and unroll easily for storage, resist tears, spills and most demanding abuse. Great for use with our Standard, Deluxe or Ultimate Chess Bags. 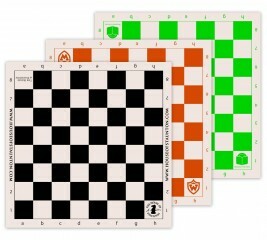 Our Custom Printed Vinyl Tournament Chess Boards are ideal for chess players of all skill levels. They roll up and unroll easily for storage, resist tears, spills and most demanding abuse. Great for use with our Standard, Deluxe or Ultimate Chess Bags.